A rare autographed Marilyn Monroe calendar featuring the young model stretched out in her “New Wrinkle” pose is expected to bring $8,000+ in Heritage Auctions’ Entertainment & Music Memorabilia Entertainment Signature Auction, December 14. The 1952 calendar is one of the few Monroe ever signed and in this instance personalized to Mary Karger, sister of Fred Karger who was a director of music at Columbia Pictures in addition to being Monroe’s vocal coach and one-time love interest. 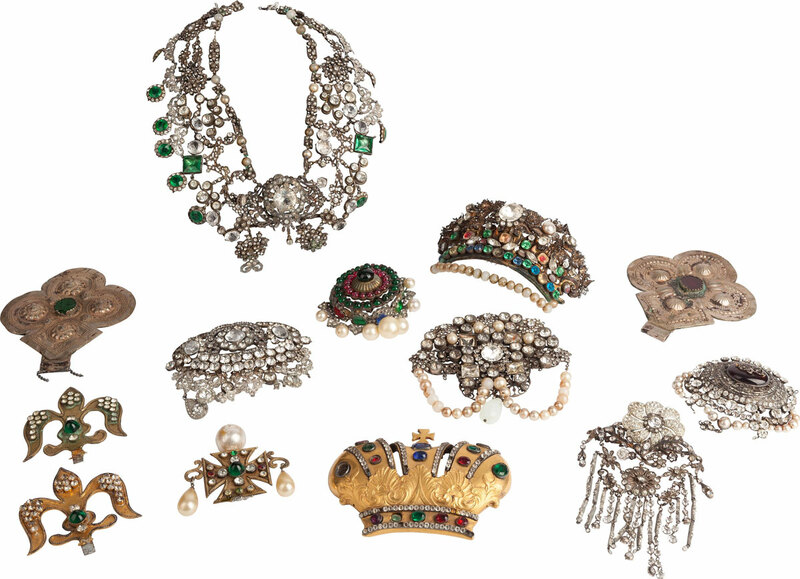 An enormous collection of replica ‘crown jewels’ from various Metro-Goldwyn-Mayer films is expected to bring $20,000+ and take top entertainment lot honors The 69-piece movie prop collection has remained intact ever since it was purchased by an MGM executive in 1955. 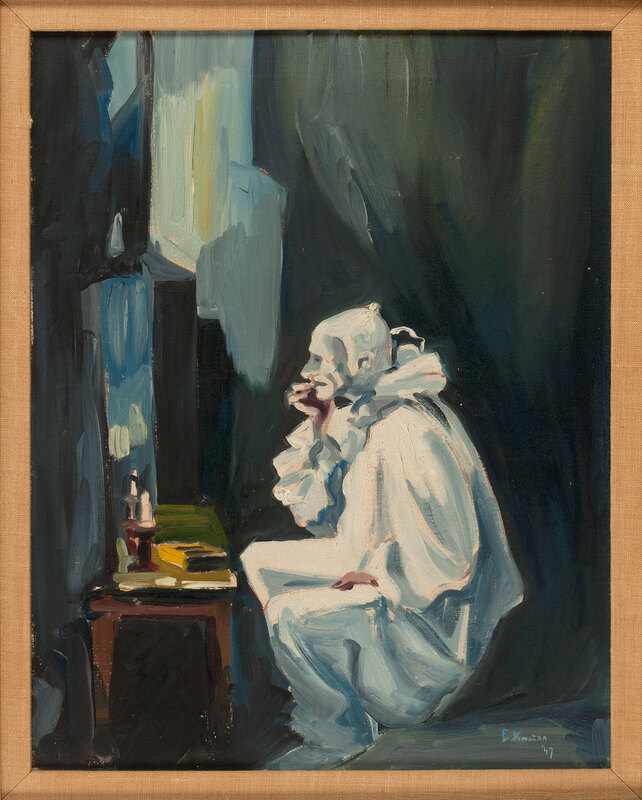 A 1947 oil painting by Frank Sinatra, depicting a sad clown staring into his dressing table mirror, is expected to bring $8,000+. Produced at the start of his famed Columbia Years, the painting was given directly by Frank Sinatra to Sandra Gould [the character actress who portrayed “Gladys Kravitz” on “Bewitched”] and her husband, Larry Berns. Berns met Sinatra when he produced a number of the singer’s radio shows in the 1940s and he and his wife maintained a friendship with Sinatra for decades. 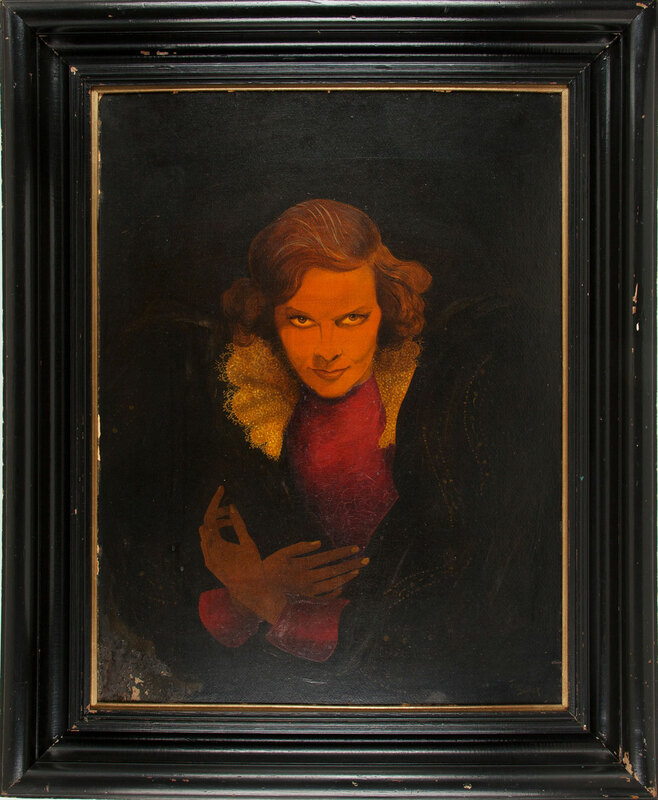 Another oil painting, a portrait painted in 1936 by John Decker of a young Katherine Hepburn is expected to bring $4,000+. Decker is best remembered for being the Hollywood “bad boy” who painted the infamous portrait of W.C. Fields in drag that hung in Chasen’s Restaurant for decades. Among the lots of unique star-worn movie costumes, the well-known mermaid costume worn by Cher in the 1990 film Mermaids is expected to bring $7,000+. 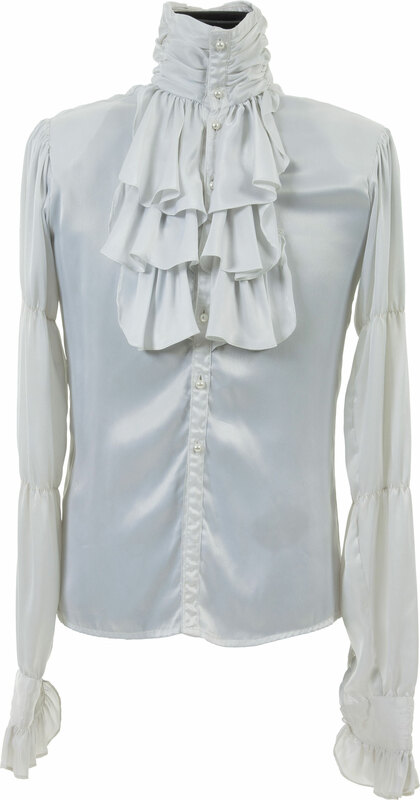 A three-piece suit worn by Steve McQueen in the 1973 movie Papillon is expected to bring $5,000+ and a white, ruffled shirt worn by Prince throughout the 1984 movie Purple Rain is expected to bring $4,000+. 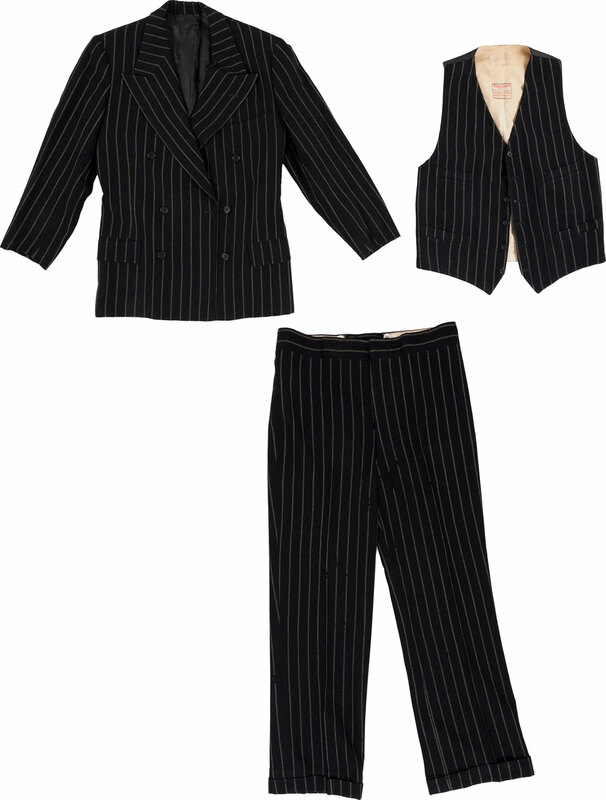 Two items from the talented yet troubled acting career of Carl Switzer make a rare appearance at auction. Switzer reached fame early playing the character Alfalfa in Hal Roach’s Our Gang comedy shorts. 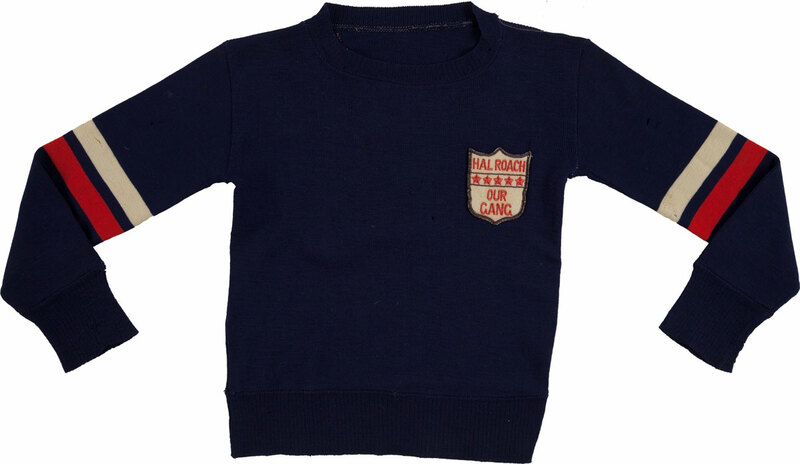 A wool sweater worn by Switzer when he and the rest of the “Gang” made public appearances during their heyday in the 1930s is expected to bring $3,600+. 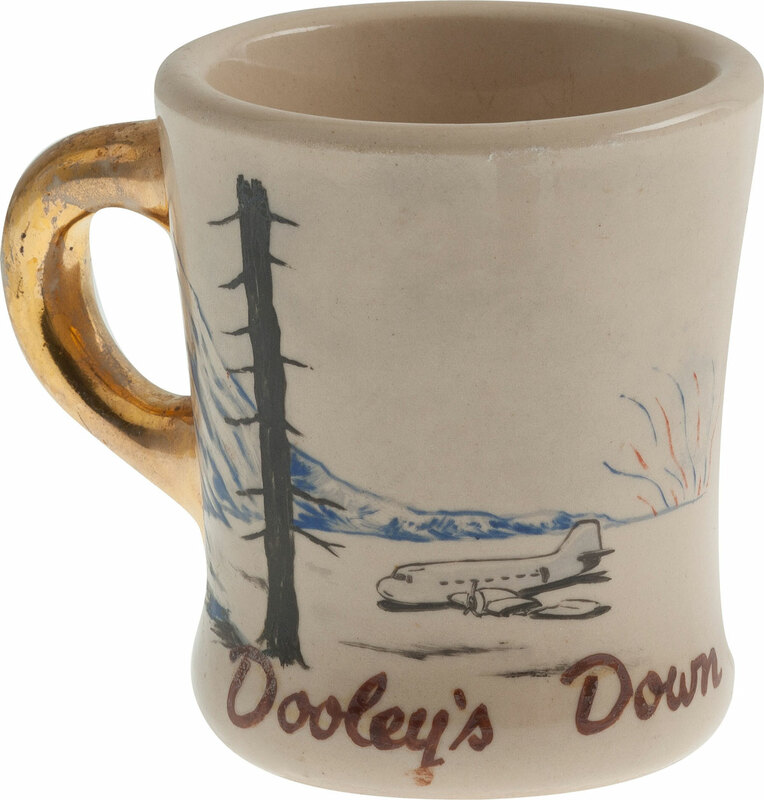 A personalized mug gifted to Switzer by John Wayne is expected to bring $1,600+. Wayne and Switzer starred together in the 1953 film Island in the Sky. Sadly, Switzer would die from a gunshot wound just six years later. The Dec. 14 auction features more than 40 awards, including a rare nomination award bestowed to director John Ford from the Academy of Motion Picture Arts and Sciences for his work on the 1952 classic The Quiet Man. 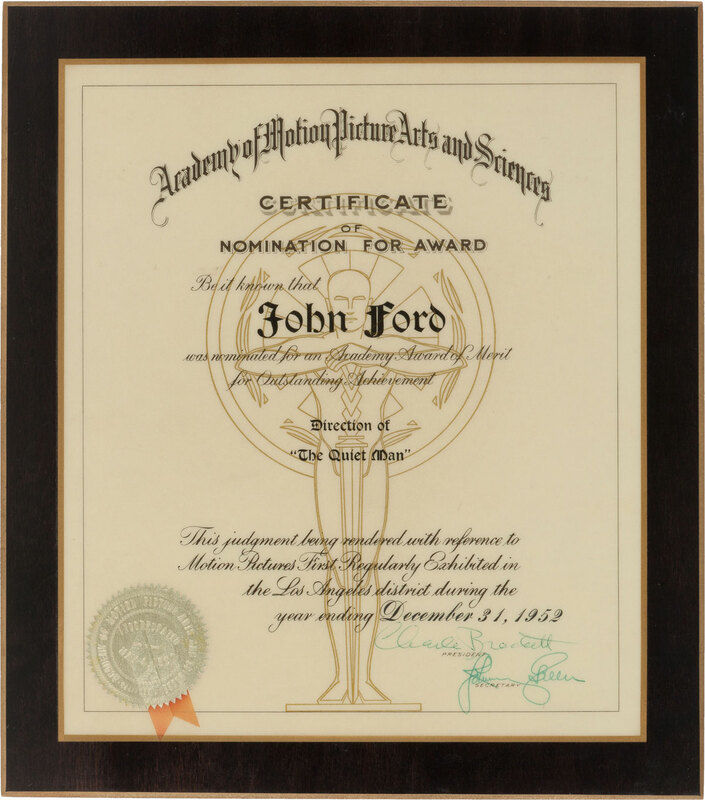 Ford did win the Academy Award, besting Cecil B. DeMille, John Huston, Joseph L. Mankiewicz, and Fred Zinnemann. The plaque is expected to bring $2,000+.